Dealership general manager Chris Morrison: Facebook ad campaign is simple and inexpensive. 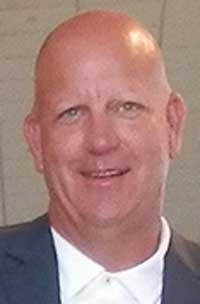 When Chris Morrison started out as a car salesman 30 years ago in the placid southern Mississippi city of McComb, he spent every Tuesday at local employers handing out business cards and shaking hands. "In our little town, I knew if I sat in the showroom all day I wasn't going to make any money," said Morrison, now general manager of Honda Cars of Katy near Houston. Today, Morrison, 51, is still a big believer in networking with local businesses. But he uses Facebook instead of shoe leather and business cards to help him sell cars and service. Facebook, once viewed mainly as an online cocktail party unsuitable for use in sales, is starting to win converts among auto dealers and factories as an effective marketing tool. A little more than a year ago, the social media site began allowing ads to be placed on users' news feeds, the part of the Facebook page where users spend most of their time. And in the past month, Facebook has further sharpened its targeting. Using shopping and vehicle registration data provided by outside vendors, Facebook now allows dealers and carmakers to send ads to users based on the age of the prospects' vehicles and other criteria. "Facebook has been honing its targeting capabilities," said David Matathia, director of marketing communications at Hyundai Motor America. Morrison said Honda Cars of Katy is getting results. During the past six weeks, the dealership used Facebook ads to sell 16 new and used vehicles to employees of two major medical centers in the area, each of which employs about 3,500 people, he said. The store has sent ads to all employees at the hospitals who have Facebook pages, Morrison said. Those ads show up on the right side of users' Facebook pages. The campaign is simple and inexpensive, he said. The store determines what ad to send, then asks Facebook to deliver it to all employees of certain companies within 25 miles of the dealership. Honda Cars of Katy has begun testing Facebook's newest targeting feature by having ads sent to residents near the dealership based on the age of their vehicles. Facebook delivers the ads without the dealership knowing specifically who receives them unless a prospect contacts the store. A big plus of the approach: The dealership pays for an ad only when a Facebook prospect clicks on it. Clicks typically can cost less than $1 to $2. In April, the campaign to hospital employees cost Honda Cars of Katy $500, Morrison said. It resulted in nine vehicle sales. That's a tiny fraction of the 311 new and used vehicles the dealership sold last month. But it's good incremental volume, he said. "For $500, that's a pretty good return on investment," said Morrison, adding that the hospital campaign will run through May. The Facebook campaign also is spurring service and maintenance business, he said. Honda Cars of Katy has changed ads often during the six weeks. One ad offered a factory promotion for low lease rates on the Civic sedan. Another promoted a special on in-stock Pilot crossovers at $5,000 off the sticker price, Morrison said. Other ads featured service. One offered 20 percent off the next service visit. A popular one was a $299 deal for lifetime oil changes, Morrison said. While that offer may be a loss leader, it will get users regularly into the service department where other maintenance and repairs can be pitched. Also, the customers' regular visits provide opportunities for vehicle sales, he said. Overall, Honda Cars of Katy's monthly gross service and repairs revenue averages $700,000 in 2013, up $200,000 per month, Morrison said, attributing much of the gain to his Facebook pay-per-click programs. The hospital campaign was inspired by a bigger one this year for the many energy-industry offices that ring Katy. For six weeks starting in January, Honda Cars of Katy used Facebook to send ads to more than 31,000 energy employees at companies such as BP, ConocoPhillips, Citgo, Marathon, Chevron, Shell and others, said Jim Flint, CEO of Local Search Group, which handles digital marketing for Honda Cars of Katy. That campaign, which ran during the slowest time of the year, generated seven vehicle sales, Morrison said. But again, at $500 per month for pay-per-clicks, the spending was worthwhile, he said. Mailers sent to that many people, for instance, would have cost several thousand dollars. "The beauty of the program is that you can target who you want to target," Morrison said. Hyundai's Matathia said the automaker is pleased with early results from Facebook targeting campaigns it has run. Until the development of new targeting tools, Hyundai used Facebook to raise brand awareness and start conversations with vehicle owners and fans, he said. Traffic from Facebook ads helped Hyundai to a solid first quarter, Matathia said. He declined to specify how many vehicles were sold to buyers pitched on Facebook. In the first quarter, Hyundai's U.S. vehicle sales rose 1 percent to 164,330. A little more than a year ago, Facebook gave advertisers the ability to deliver ads to Facebook users' news feeds, in addition to ad positions on the right side of user pages. The new targeting feature based on age of vehicle just became available a month ago through a Facebook partnership with Datalogix and R.L. Polk. Kass Dawson, Facebook's head of automotive in the global vertical marketing department, wrote in a statement that data partners are broadening the base of prospects that businesses can target. "When combined with Facebook's local targeting, they will enable dealers to reach owners and in-market shoppers specifically in their primary marketing area," Dawson wrote. Flint said he is experimenting with campaigns using the tools for Honda Cars of Katy and other dealerships in Texas. Morrison, at Honda Cars of Katy, said the dealership plans to target the energy employees with another campaign. Those offices are filled with white-collar workers, such as engineers, technicians and information technology professionals. Katy, about 20 miles from downtown Houston, has boomed over the past five years, around the time Honda Cars of Katy was established. Average household income in the city is about $125,000, Morrison said. Morrison said employee outreach via social media reminds him of those slower, quieter days in Mississippi. He said, "Facebook is just a modern version of prospecting."